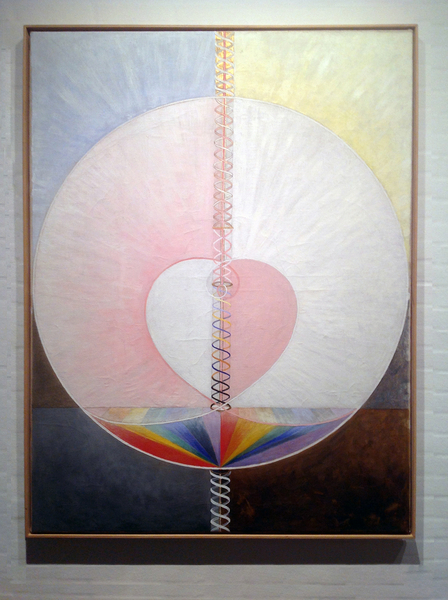 Hilma af Klint(1862-1944), was of the first generation of Swedish women allowed into Sweden’s art schools. She discovered spiritualism and attributed her paintings to a higher consciousness working through her, and she and four of her friends were influenced by Theosophy and Rudolf Steiner. I discovered this in the middle of reading Rudolf Steiner’s book on color theory. 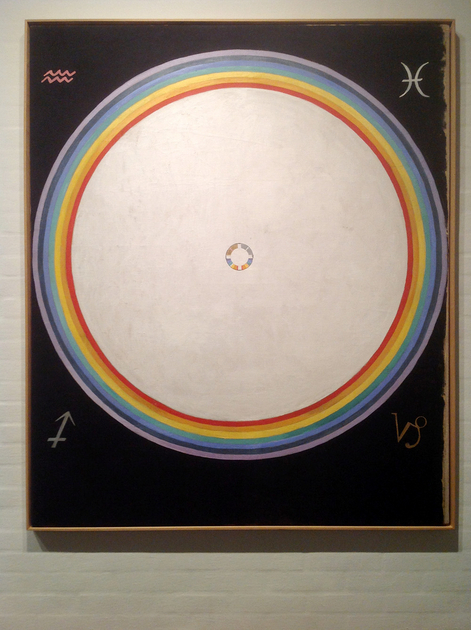 Some of her spiritual paintings were first shown the exhibition, The Spiritual in Art: Abstract Painting 1890-1985 at LACMA Los Angeles 1986, along with famous painters such as Kandinsky and Mondrian, but Hilma af Klint was out of the loop of the art world, with her paintings. In a way she reminds me of Albert Barnes and his Barnes Foundation, in her guarding of her work, which cannot be sold, only released to institutions in order to support her archive. Because she has no collectors and is not part of the marketplace, it’s like her work became immaterial. Includes 20 minute video on af Klint’s work. Kopenhagen Magasin with many images of af Klint’s work.